Arch beam or window track consists of an upper T-shaped beam welded to an inverted T-shaped beam, which creates an arch or window throughout the length of the beam. Image courtesy of ACCO/Louden. 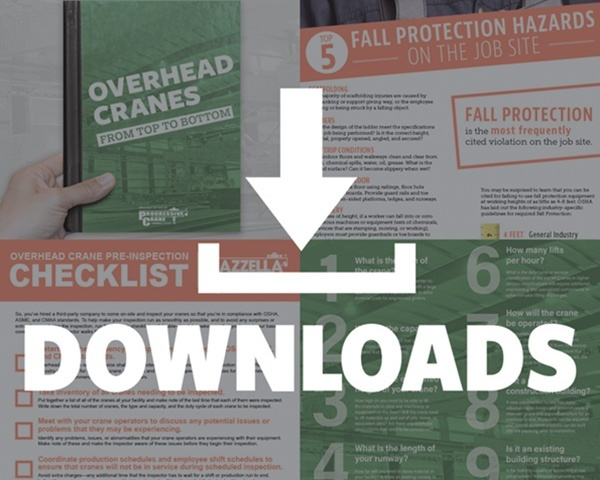 Arch beams, window track, zipper track, serrated track, or castellated beams…whatever you choose to call them, you need to be aware of what they are, and why they’re considered dangerous if they’re still being used on an overhead crane in your facility. Arch beam and window track systems haven't been manufactured since the 1960s. Over time, the material has fatigued and the welds have weakened, which can cause the upper portion of the beam to peel away from the bottom portion. Image courtesy of Gorbel/Cleveland Tramrail. During the 1960’s, overhead crane beam manufacturers ceased production arch beam/window track for their runway and bridge beams and have not made this style beam or track since. Unfortunately, these types of track systems are still prevalent in older manufacturing facilities today. 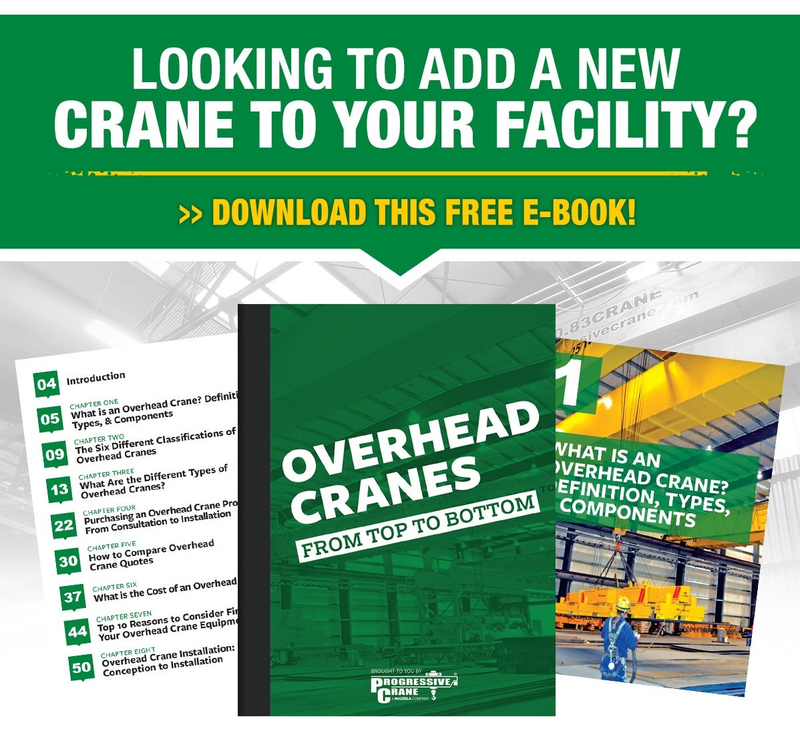 If you’re keeping track at home, this means that any type of overhead crane system still utilizing arch beams, is relying on material that is over 50 years old to support the full dead weight of the crane and its load! These types of arch beams were perfectly safe and acceptable for a long time, but as they age, the metal begins to fatigue from the stresses of decades of use. As the metal fatigues, the welds begin to weaken where the window portion of the beam attaches to the lower track. If even one weld weakens to a point where it gives way, the top beam actually peels away from the bottom of the beam—creating a “zipper effect” that occurs all of the way down the length of the bridge or runway. Loading Tables in old catalogs were calculated for new beam as built at that time. As of this date (March 2, 1992), all Arch Beam should be replaced with Tarca® due to its age, and De-Rating of capacity is no longer advised. Arch Beam should also be replaced with Tarca® versus ANY repair due to age and many years of fatigue. Do your crane's runway tracks or bridge beams look like this? If so, do you have a proactive inspection program in place? Better yet, is there a plan to systematically replace these beams? Image courtesy of Gorbel/Cleveland Tramrail. Fully inspect every weld in the beam. Thorough inspections, find discontinuity, and then use non-destructive testing. Dye Penetrant Testing: 1) Section of material with a surface-breaking crack not visible to the naked eye. 2) Penetrant is applied to the surface. 3) Excess penetrant is removed. 4) Developer is applied, rendering the crack visible. Magnetic Particle Testing – a magnetic particle powder is used in conjunction with a magnetic field that is passed through the beam. The particle powder migrates to any micro-cracks or imperfections in the material—revealing corrosion or fatigue in the metal. Magnetic particle and dye penetrant testing are essentially interchangeable and used primarily to detect and highlight surface cracks in a weld. The ultrasonic testing will identify any areas of concern within or underneath the surface of the weld and beam. The problem with these types of testing methods is that every square inch of the beam material needs to be tested. 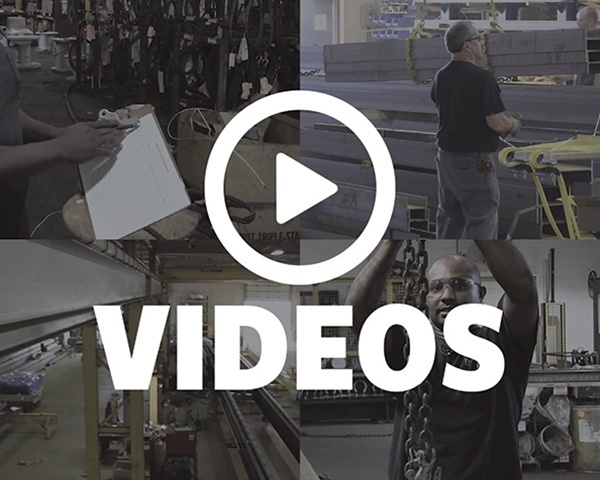 There is no such thing as spot testing when you perform any of these tests on an arch beam—every single weld needs to be tested. On a 300 foot track, you’d have approximately 600 welds to inspect on both runway beams, so it can be a very time-consuming and expensive procedure to have done repeatedly. It is possible to inspect sections of track at a time, rather than having the entire crane system down at once. The owner of the crane equipment would have to weigh the cost of lost production versus the higher costs of more frequent inspections being performed. Per OSHA 1910.179 and ASME B30.11, crane usage and duty cycle will determine how often these inspections need to be performed. However, if you’re still operating a crane on an arch beam track, regardless of the duty cycle or usage of the crane, the design and materials of your crane track are well past their effective service life. Gorbel's Tarca® Track has a mild steel top flange and web and a high carbon steel lower rail with raised tread to resist peening. Continuous welding adds rigidity needed to cope with stresses from the most demanding applications. Image courtesy of Gorbel. Lastly, if your bridge and components are still within required tolerances and there is no comparable beam replacement to match up with the original, then the end trucks on the bridge or the end truck wheels themselves can be replaced and matched up to a new replacement beam design. Once you’ve made the decision to replace your arch beam or window track, a crane service company can come out and replace the entire track at once, or it can be done in sections to minimize disruption to production. Arch beams, window track, serrated track, zipper track, castelated beams...whatever you call it, you should know that this type of product has reached and exceeded its effective service life. Image courtesy of Gorbel/Cleveland Tramrail. 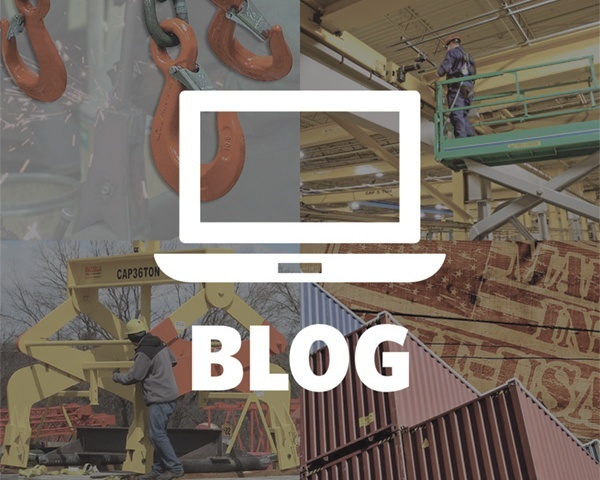 At Mazzella Companies, we offer magnetic particle testing, dye penetrant testing, and ultrasonic testing and can help determine the suitability for continued safe use of your crane system. 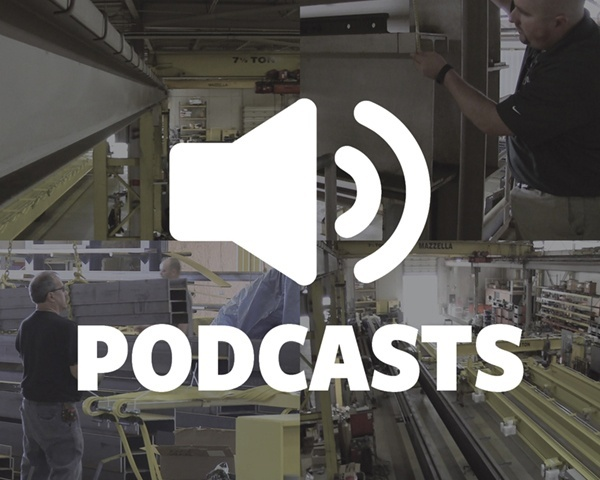 We also have longstanding relationships with manufacturers like Gorbel/Cleveland Tramrail and ACCO/Louden to help find a suitable replacement track that’s compatible with your existing overhead crane system. If you’d like to schedule a consultation with a Crane Specialist, or have one of our Crane Service technicians come out to perform an inspection, please contact us today.